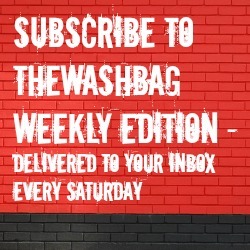 Back in the Summer of 2011 TheWashbag.com ranked the then 30 permanent Swindon Town managers according to their Football League results (including Play-Offs), FA Cup and League Cup performances. The aim was to establish whether Paul Hart could really be labelled as the worst Swindon manager of all-time and who could lay claim to the distinguished title of ‘The Greatest’. Instead of assessing managers according to their achievements, failures and personal feelings towards them, we took a more objective approach and, big surprise, turned to statistics. For those wanting to find out a little more about the methodology then the details are below. League results are only counted since the election of the club to the Football League for the 1920/21 season. Points are scored on the basis of 3 for a win and 1 for draw, even though 3 points for a win was only introduced in 1981. Play-Off match results are counted. As the number of league games per season has fluctuated over the years, each manager is assessed on a points per game basis (P/G). P/G of each season is then multiplied by a league multiplier. This is where I’ve introduced an element of subjectivity as I consider a point gained in the Premier League is more important to the club, in terms of our history as a whole, than a point in League Two. The principle was to limit the spread of the multiplier so that it remained possible to outscore a Premier League season P/G in the 4th tier. The sum for each season is then divided by the total league games under their tenure. The rating is then multiplied by 100 to give a final score. No bonuses are awarded for league position as this assessment purely takes into account each manager’s win, drawn and loss record. Each manager is only rated on the basis of the number of cup ties won, rather than matches won, drawn and lost. Prior to 1924/1925 the FA Cup was played over 6 ‘proper’ rounds and an equivalent weighting is used. The sum of scores achieved for each season are then divided by the total cup ties played (x100) to provide an FA Cup score. The manager score is the sum of the League, FA Cup and League Cup totals. The reason behind the choice of points per game for the league and cup score divided by total cup ties is that a manager could technically become the club’s greatest manager in a short period of time. What I am looking at here is how each manager performed over the entirety of their reign. The drawback in using this method is it can distort the rankings as it equalizes performances so it doesn’t matter if you managed Swindon for 500 games or 15. I decided to discount a method whereby points are accumulated as this wrongly emphasises longevity as the crucial factor to success. However, the inclusion of cup success in this assessment does favour those managers who stayed around for long enough to compete in them. It’s acknowledged that this assessment doesn’t include the Football League Trophy therefore Di Canio’s run to the final in 2011/12 has no bearing on the result. This isn’t perfect, but was an interesting task finding out the results and hopefully start some debate!